Functional Training has become a buzz term in the fitness industry, but the fact of the matter is a lot of this training is doing very little for real life "function." Twist Conditioning is an industry leader in athletic strength and conditioning and now they are taking their training methods and applying them to helping individuals regain their function. The Twist Foundations titles are going to revolutionize you're definition of, "functional training" and take you and your clients to a whole new level of fitness! This workshop looks at the role stability and mobility play in fundamental movement skills, how they can be assessed, and how they can be improved to regain function. 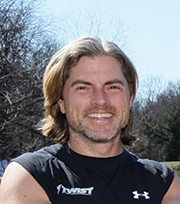 Let world renowned strength and conditioning coach Peter Twist help you regain you function and take back your life!